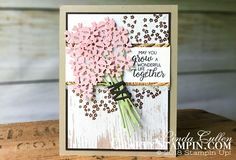 Grab your coffee or other morning beverage and join me for Coffee & Crafts and make a card with the latest Stampin’ Up! products and keep up-to-date with the latest Stampin’ News. We’ll have live instant prizes at the end of each show and a ‘watch later’prizes! Dates & times may vary over time, based on my schedule. Watch my events tab on Facebook or the schedule button above for more information. If you miss me live, you can always catch the rebroadcast on my blog and my YouTube channel. 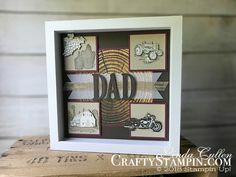 on the Crafty Stampin’ Facebook page, Like the page!!!? If you click the little pencil to the right of the “Notifications,” you can specify with more detail what you choose to be notified about.